There are several ways to play game backups on the original PlayStation. One common method involves swapping a genuine disc for a backup disc while the system is running. 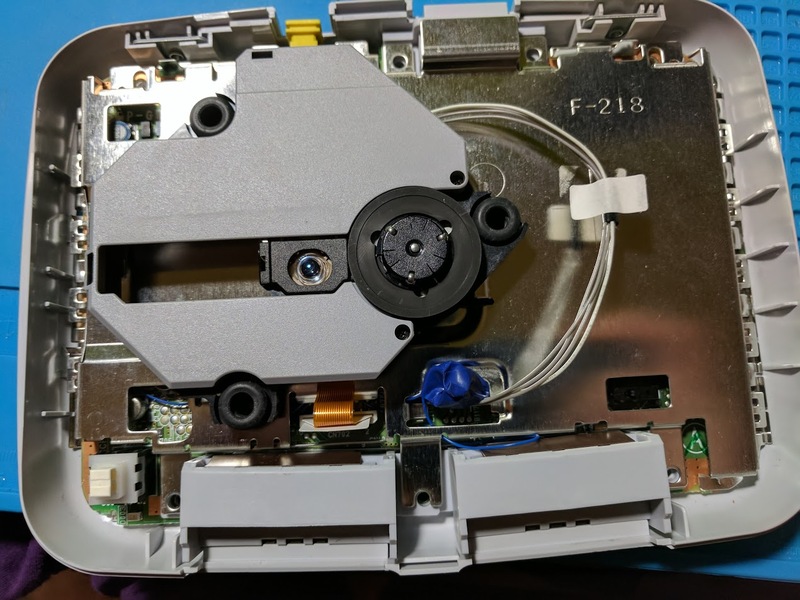 Another method is to install a modchip that allows the PlayStation to boot directly to backups. This is a guide for PSone MM3 modchip installation. An MM3 modchip will allow you to play your game backups, as well as games from other regions. You can get an MM3 chip for fairly cheap at around $4-10, I got mine from a US seller on eBay preprogrammed and prewired for $8 shipped. In my case I have a SCPH-101 PSone with the PM-41 NTSC board. Sony released many different versions of the PlayStation, if your model is different you’ll need to find another guide. Here’s a list of items you’ll need to install a modchip into your PSone. In my case the MM3 chip I bought on eBay already had Kynar wire preinstalled, so I didn’t even need the wire. 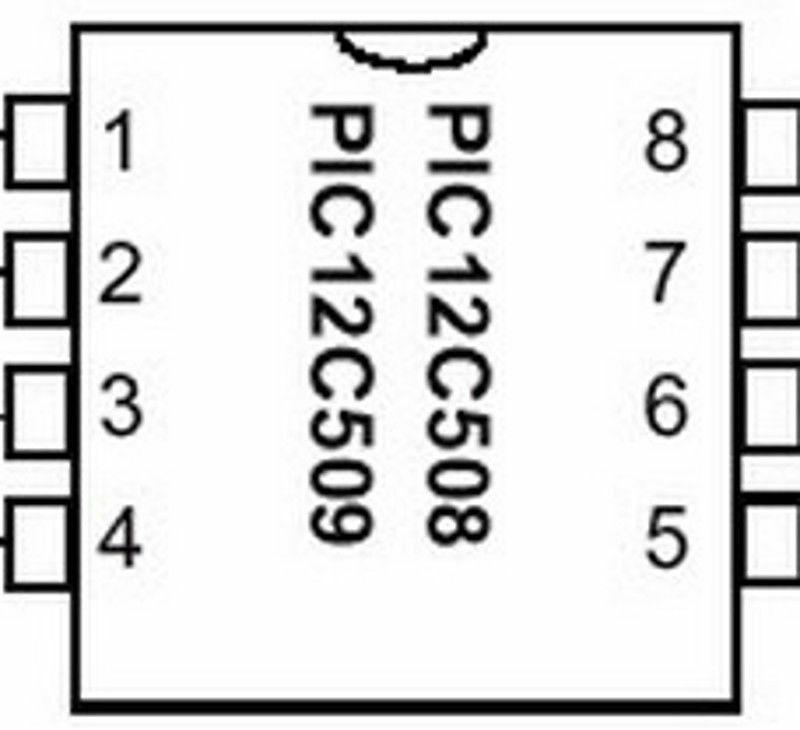 From my understanding you can actually simply buy a PIC12C508A chip and program it yourself. I’d imagine you could program it with something like an Arduino or Raspberry Pi. I’m sure this could save you some money, especially if you’re installing modchips on a lot of consoles. The actual PSone MM3 modchip installation is pretty straightforward. 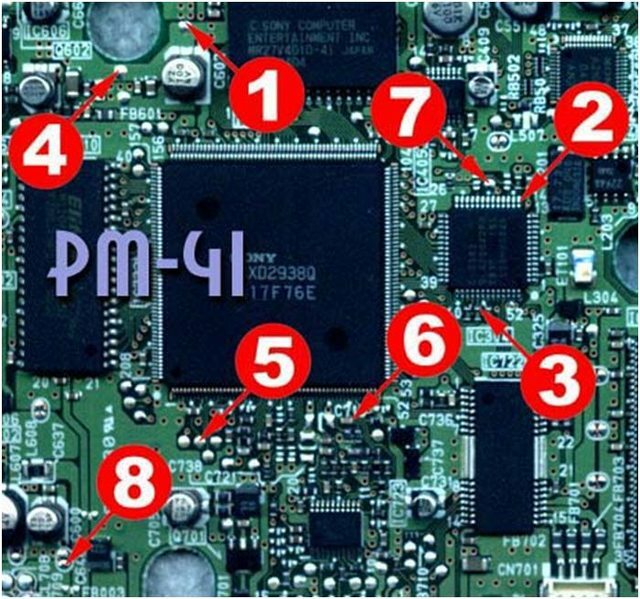 You’ll need to solder wires to eight points on the top of the console’s motherboard based on the diagram above of the motherboard, and the diagram below of the MM3 chip. Pin one corresponds to the pin with the circle above it on the plastic. I heated up and applied a little bit of extra to each of the eight points to make soldering a little bit easier. Make sure you strip only a very small amount of insulation off of the wires so that you don’t have to worry about shorting nearby points. I also shortened the wires that were preinstalled on the chip since they seemed excessively long. They could actually be shortened even further than what I did. When you get to pins three, and six, where you have to solder to surface mount components be careful. I accidentally pushed the component at pin thee out of alignment and had to use tweezers to get it back to where it needed to be. The key with these is to not push too hard on the components, and to be quick. 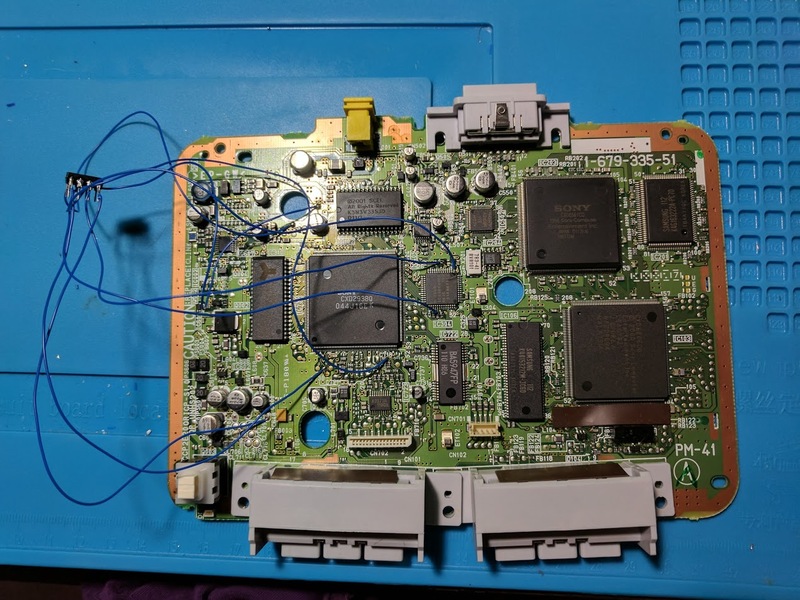 When I installed my modchip I didn’t think too much about where I’d put the chip when it came time to put the console back together. As you can see in the pictures I was able to push it through a hole in the metal shielding near the disc drive. I recommend running the wires through this hole before you solder them to the motherboard. Once I had the modchip in place I simply wrapped some electrical tape around it to prevent it from shorting. I was able to then put the console back together and everything worked. Surprisingly the whole process didn’t take long to do. In around half an hour I was able to install the modchip. I hadn’t even opened up the console prior to installing the modchip. The modchip works fairly well. If you have issues starting up a game backup you most likely either burned the game incorrectly, or didn’t install the modchip correctly. I had issues with the first game I burned, but I was able to eventually figure it out. I recommend buring your games at 8x speed (or as slow as your drive can go) using the .cue files in ImgBurn. You may also run into an issue where the console sometimes asks you to insert a PlayStation format disc. If you ever run into this issue just try restarting the console. Occasionally my PSone won’t read a game backup, but restarting the system always gets it working.